The "easy" part in its name may not be fully deserved on certain, hard-to-decipher book passages. With this in mind, a GPS can be a smart addition to your equipment. 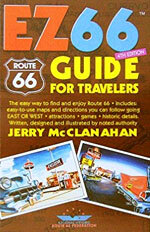 The guide is published by the "National Historic Route 66 Federation". Precisely mapped route. Detailed plans of main towns. 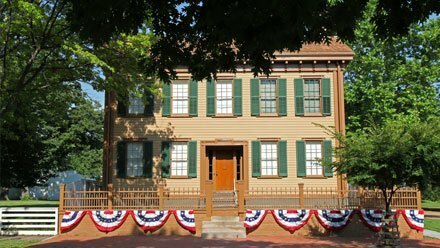 Short description of numerous attractions in each of the eight states traversed. Illustrations of some curiosities (black and white drawings). We have enjoyed the way Texan photographer Drew Knowles takes us in the wake of his many trips on the "Mother Road". This specialist goes back in time with his old atlas from 1950, to which he constantly refers, as a witness of what the Route was during its glory days. 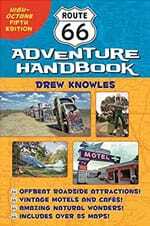 Drew Knowles shares personal memories, aesthetic judgments, sometimes moral assessments. Too bad the pictures do not reveal their colors. 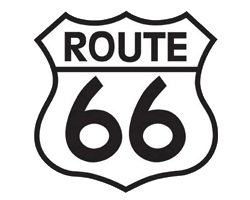 Description of attractions in almost all localities traversed by Route 66. 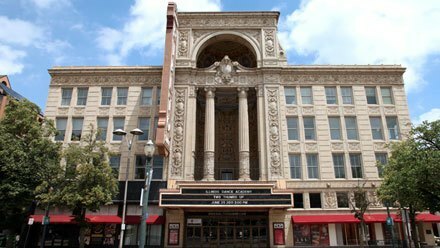 Attractions in some areas removed from the 66. Numerous black and white photographs. 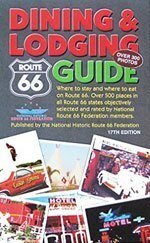 Published by the National Federation of Route 66, this guide is the bible of places to eat and sleep along the historic route. 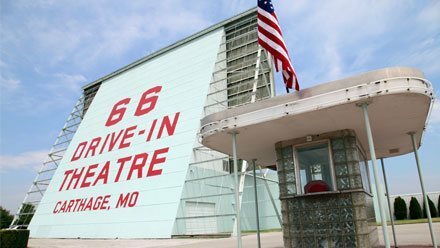 The "Dining & Lodging Route 66 Guide" has selected approximately 500 addresses acclaimed by members of the National Historic Route 66 Federation. It contains over 300 photos. This beautiful book of 160 pages stars from the remains of the cities that men abandoned as Route 66 was gradually decommissioned. 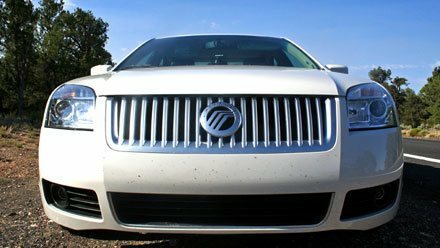 Some of them, truly opulent localities, were busy with passing traffic in the heyday of Route 66. Today, the remaining ruins can be occasionally visited with prudence and respect. This is what the full-page, beautiful color and black and white pictures convey, supplemented with many valuable information and maps. A favorite! 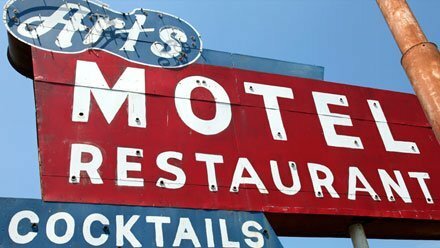 Guide to ghost towns along Route 66, in each of the eight states traversed. Texts, a few maps and color photos. 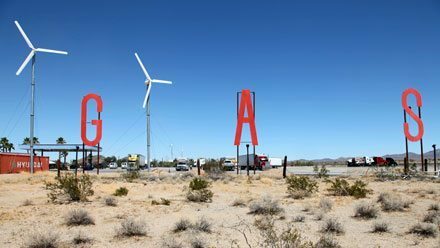 Artist and historian Jerry McClanahan (author of the EZ66, Reference Guide on Route 66), has been traveling, mapping, and drawing Route 66 since the 1960s during his first trips to the back of his parents' car. 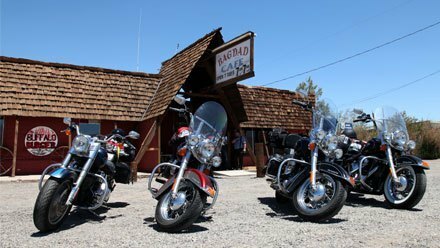 It has since become one of the best specialists in the historic route, an active member of the National Historic Route 66 Federation based in California. 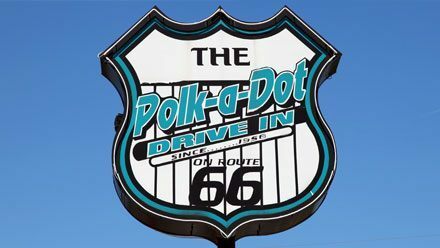 Series of 8 shots mapping Route 66's path in each of the eight states through which it passes. Illinois, Missouri, Kansas, Oklahoma, Texas, New Mexico, Arizona, California.